A suburban parade was silent, but it conveyed a deep appreciation for firefighters killed in the line of duty. 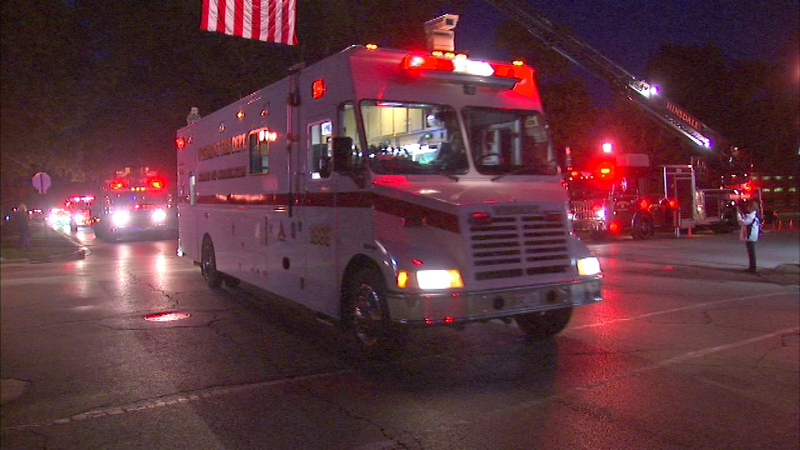 HINSDALE, Ill. (WLS) -- A suburban parade was silent, but it conveyed a deep appreciation for firefighters killed in the line of duty. The 21st annual "Silent Parade" also honors civilians killed in fires. The parade started in Hinsdale, then traveled through Clarendon Hills, Westmont and Lisle.